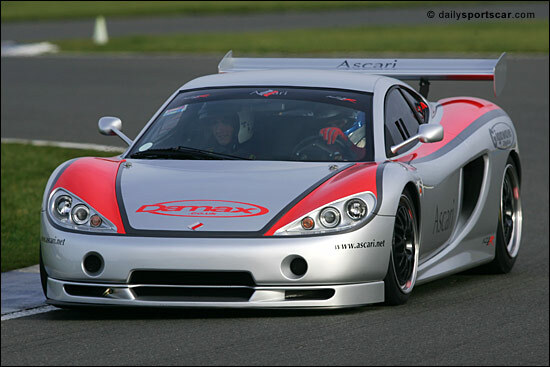 The deal for Robin Ward’s DAMAX concern to run the Ascari KZ1R in the new FIA GT3 Championship has gone from a standing start to an almost fully formed international racing effort in remarkably short order. “We were looking for ways to step into the international GT racing arena and, with our existing Ferraris will still be taking part in the Euro GT Open series, which will support the World Touring Car Championship,” said Robin Ward, at Silverstone on Sunday (with Aaron Scott, below). “We were though looking at other opportunities and decided to take a close look at the plans for the new GT3 series. I went over to the series launch in December and spoke to a number of people about the available options. Of course with years of experience of running Ferraris, the first consideration was the new 430 Challenge, and we also spoke to Prodrive about the Aston Martin. The problem though is that we would be one of a number of customers for those cars. The deal we eventually opted for with Ascari means we are very much the lead racing partner, even if another team comes along as well. 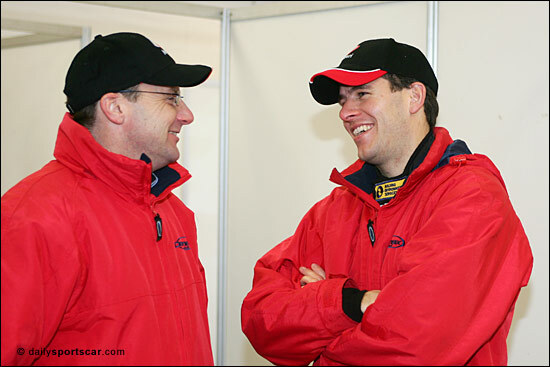 Among the confirmed drivers are Aaron Scott, already well established in the Damax family, and another team regular, Nick Adams, the World (C2) Sportscar champion in 1989. Other, familiar Damax names are likely to be seen on the team’s strength in the Ascaris too, but the team is still keen to hear from other suitably qualified (and presumably budgeted!) drivers. The KZ1R is very different from the other contenders for GT3 Series honours, With a carbon chassis and body, it is ironically barred from international GT2 contention, but welcomed with open arms into the GT3 fold. The GT2 version is of course welcomed into the Spanish GT field and is the version used in the Ascari Race Resort, on the race track which forms an integral part of the facility. The KZ1’s 5 litre V8 engine would have been more usually found in the last generation of BMW M5 super saloon, but in Ascari tune develops a fulsome 500bhp giving the purposefully styled 1.3 tonne road car a 200mph top speed and stunning acceleration - 0-60 in around 3.7 seconds. 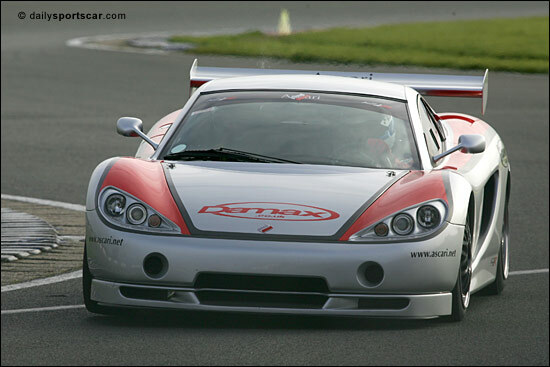 In race car KZ1R trim, the car is lighter and sprouts an effective rear wing, translating the already stunning performance on the road into a more than competitive GT3 race car package. 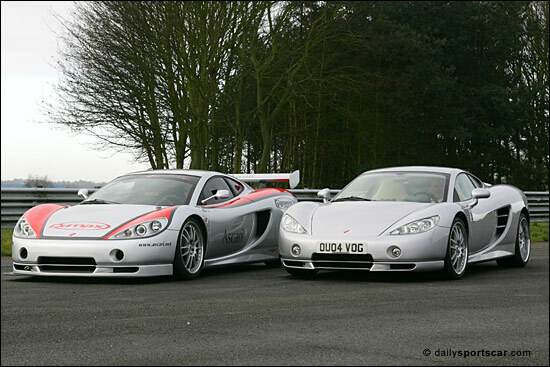 The KZ1 will remain a rare sight on the roads car with just 50 of the £235,000 supercars (KZ1Rs cost some £10,000 less) scheduled to be built, 70% of which seem likely to find a home in the UK. 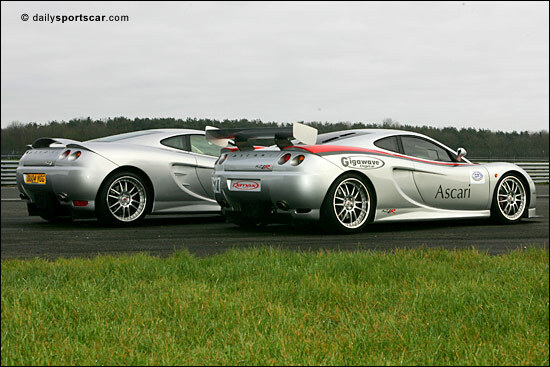 Other cars have been ordered in the Middle East: Ascari Marketing Director Chris Burton, in charge of the pre-production road car on display at Silverstone, had just returned from delivering a customer car to the United Arab Emirates. The silver KZ1 attracted a huge amount of attention amongst the trackday customers, not a bad shop window amongst a paddock jam-packed with high end Porsches, Ferraris and a myriad other supercars. On track though it was time to get more acquainted with the KZ1R. Nick Adams had already pronounced himself very impressed with his new mount, the car pulling around 145 mph down the Hangar Straight in the cold conditions. 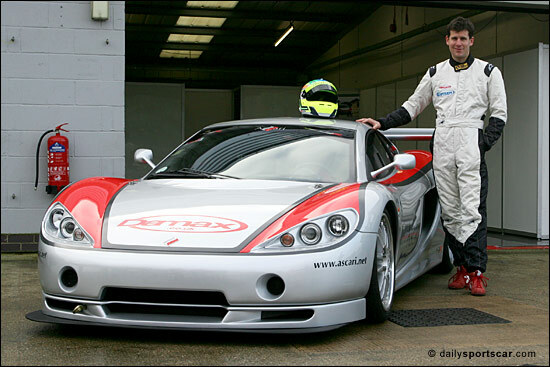 DSC’s guinea pig in the passenger seat for a three lap blast around the Grand Prix circuit was James Goodwin. Nick Adams was given the instruction not to hold back. 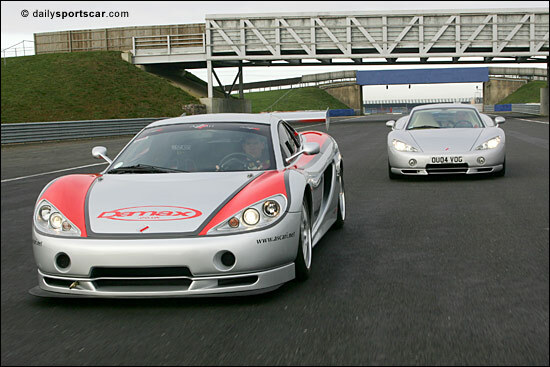 So how does the car compare with the Ferrari 360 Nick? So overall it would give the Ferrari a run for its money? 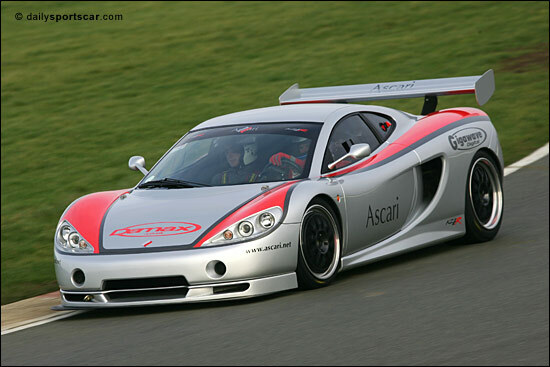 Aaron Scott confirmed that it's very early days with the new car, but he's looking forward to getting stuck into the development of the Ascari. 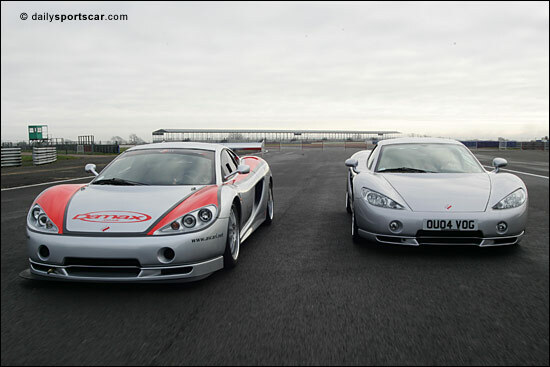 "I'd driven it briefly at Donington, in the wet on road tyres. Sunday at Silverstone confirmed that we have a very good base package: first impressions are really good. We're testing for two days at Snetterton next week, then we hope to be off to Spain for some warm weather testing." Scott indicated that "this is a very big opportunity for me," and he can't wait for the racing season to start. What no one knows at the moment is how the relative performance of the different GT3 cars will be balanced out this year, by the FIA, but such issues will be resolved in due course, when relative speeds are compared at Paul Ricard.